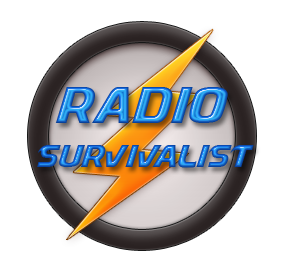 An all band HF antenna is a very essential addition to a survivalists go kit. What is an all band HF antenna? This is the type of antenna that will work on all high frequency bands that are currently allocated to the amateur radio operator. In the case of the U.S.A. the bands represented are from 6 Meters through 160 Meters. These are compact and easily deployed antennas that fit into relatively small space and a real plus is that it is stealthy which are some of the considerations that a modern day survivalist should look for when considering what antenna to choose for emergency communications. The logical choice for most operators who wish to stay within a budget is some type of wire antenna system for portability and deployment. There are so many kinds of wire antennas to choose from, each with their own merits and limitations. Where to start is often one of the most difficult things to figure out, well how about if we take you directly to the finish. A singular antenna system that covers all of the bands has been sought after as the Holy Grail of antenna systems. Alpha Antenna released such an antenna; the Alpha 6-160 Meter HF J-Pole Antenna. The merits of this antenna include low SWR across most of the amateur ham radio bands. What is the draw-back for this antenna? If there are any to be listed it is that on a couple of bands an antenna tuner is needed. The best news here is that on nearly all of the bands an antenna tuner is not necessary! This is the only antenna that we have found that comes close to providing being the Holy Grail of antenna systems, which also adds the feature of wire management hardware.